Wow. Now when I’ve referred to new business models that incorporate fresh ways of delivering content - this is what I was talking about. So what is Flipboard? Imagine the huge list of updates and links served up on your Facebook or Twitter feeds transformed into a handsome, clean magazine format that is easy to peruse. Imagine that this "magazine" includes Web content of your favorite newspapers or magazines. 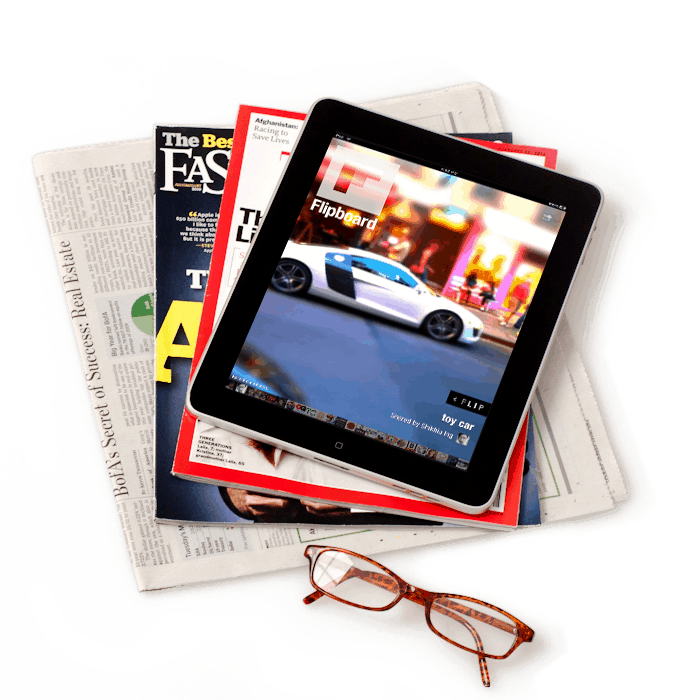 Your tablet is now a personal, virtual newsstand. "We thought the idea of a social magazine would be an incredible thing," said McCue, who sold his previous startup, TellMe Networks, to Microsoft for a reported $800 million. The iPad emerged as the ideal format. And it certainly helped that Doll was a prominent Apple engineer who had taught a popular Stanford class on iPhone app development. The Flipboard app includes a contents page that enables you to dive into your favorite Web features with a touch. Pulling up the keypad lets you comment on articles. Flipboard relies on an editing process that uses algorithms to update the news. Their recent acquisition of Ellerdale gives Flipboard a team of engineers focused on analyzing large, real-time data streams. Ellerdale co-founder Arthur van Hoff, now Flipboard's chief of technology, said his team provides a "back-end" complement to Flipboard's consumer-facing technology, playing a key role in providing users with the news that is most relevant to them.